Soil Temperature Sensor consists of a PT1000 RTD embedded at the thermally isolated tip of an SS-316 probe 25 CM in length. The depth at which the measurement is to be made can be adjusted using a position adjustable ring provided on the stem. 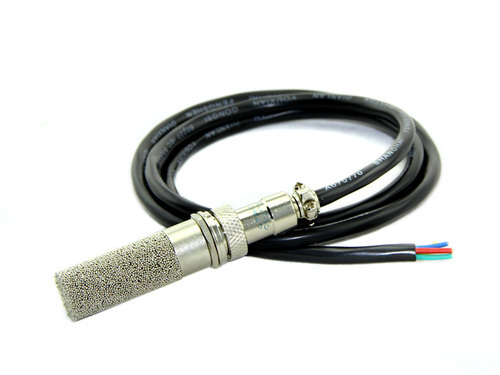 The sensor wires are terminated in a weather proof SS head and a 20 meter cable is provided for connection to Data-logger or other circuitry.